Have you ever thought about being able to work anywhere, anytime? Now, there’s no limit to field work. 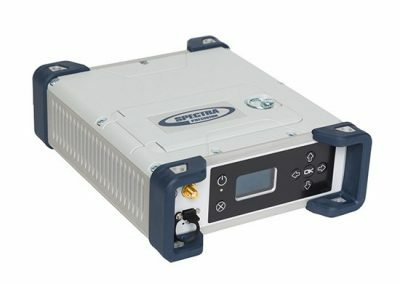 The Spectra Precision SP90m is a powerful, highly versatile, ultra-rugged, and reliable GNSS positioning solution for a wide variety of applications in real-time and post-processing. Adaptable to almost any specific positioning usage, the SP90m is the ideal solution for people looking for a single GNSS receiver for multiple applications.